Go Back to the Homepage / Ladies and Gents please take your seats……. Whatever the occasion be it corporate event or party or wedding, the table normally has place settings – Why not try something different and have a caricature drawn from a photo onto the place setting? 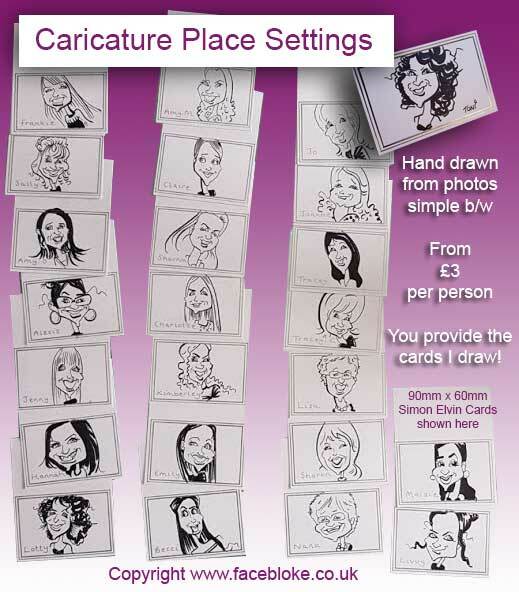 Prices start at just £3, I use a permanent black pen to create a simple line caricature of the person then pop on the name and you have a table full of fun!